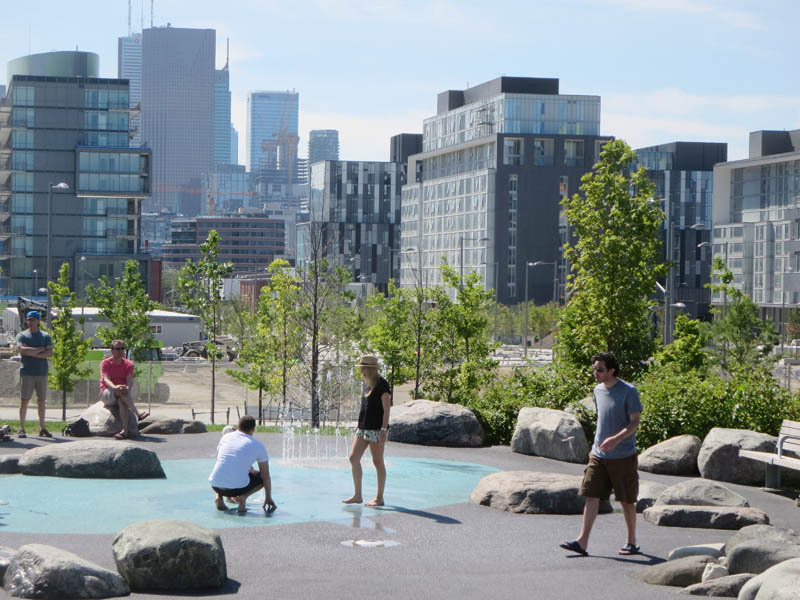 CORKTOWN COMMON is a wonderful new creation from WATERFRONT TORONTO and the federal government. 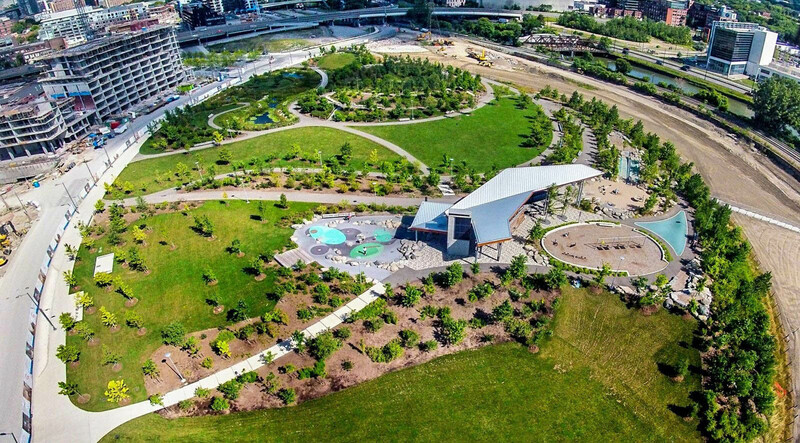 This splendid park, which opened recently, covers 73 hectares (180 acres) in the West Don Lands, within easy walking distance of King Street East at River. More than 700 maturish trees have been planted, along with thousands of shrubs, a living marsh, ground cover and aquatic plants. 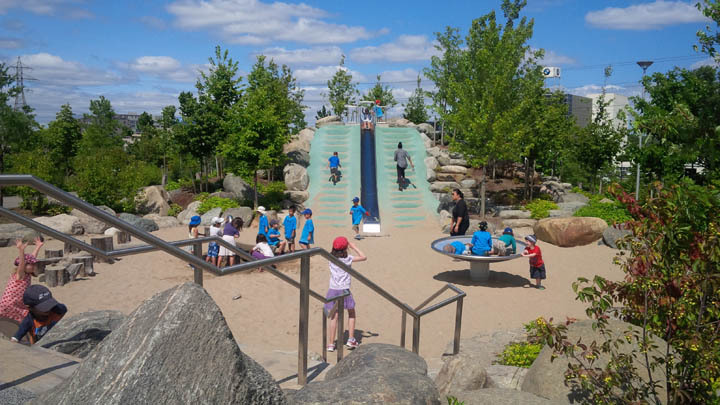 There are playgrounds, a splash pad, a large central lawn, a bike path and an athletic field. Best of all, the topography rises and falls, presenting unique views of the city’s skyline and eastside industrial buildings, bridges and rail lines. 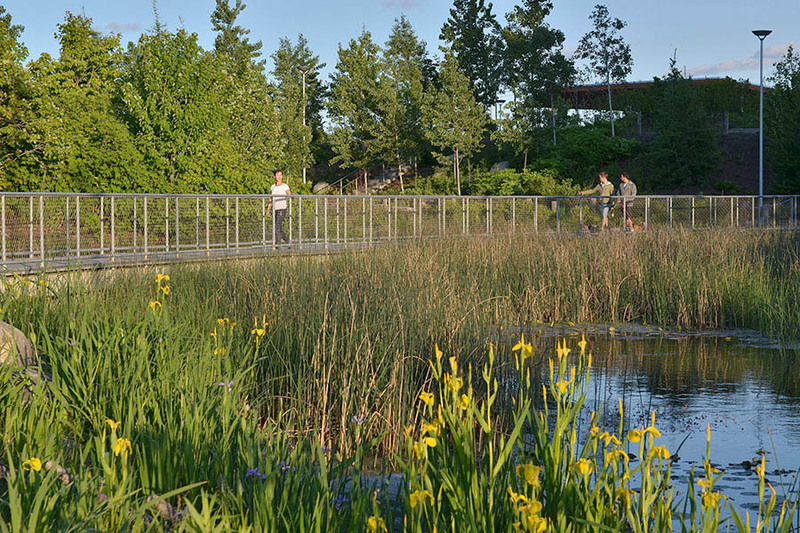 A lengthy berm functions as both a lookout and flood protector for TORONTO’s eastern downtown. 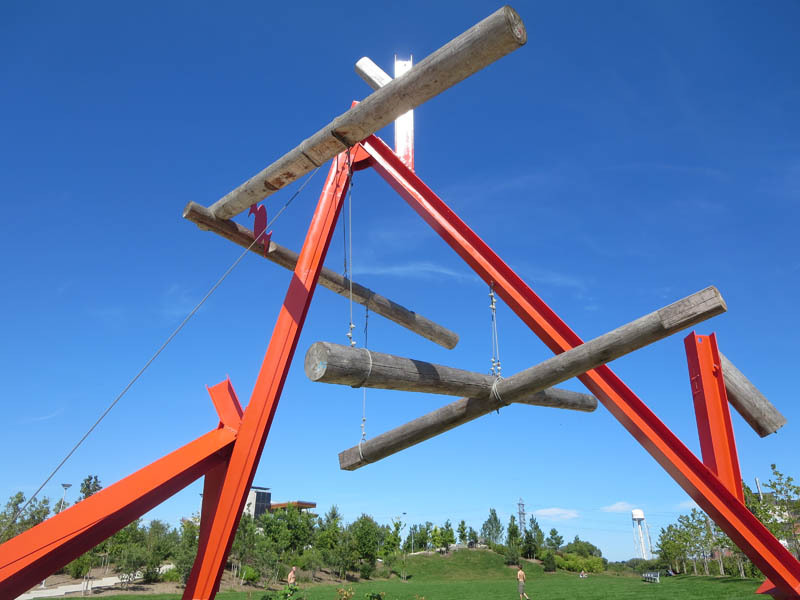 This entry was posted in Parks and gardens and tagged Canada, Corktown Common Toronto, Ontario, Toronto, Toronto parks, Waterfront Toronto Corktown Common, West Don Lands Toronto. Bookmark the permalink.